1 Grate 1 teaspoon peel and squeeze 2 tablespoons juice from lime and combine with Hellmann’s® or Best Foods® Vegan Carefully Crafted Dressing and Sandwich Spread and cilantro in large bowl. 2 Add remaining ingredients except avocado halves and stir to mix. Season, if desired, with salt and pepper. 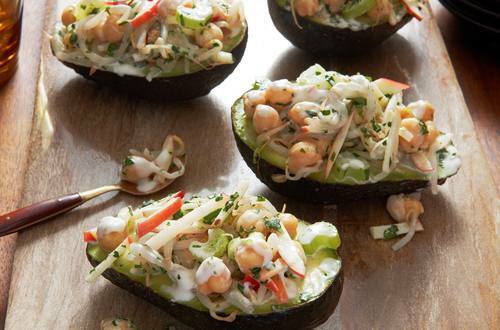 Spoon over avocado halves.